Abstract: Autonomous orbit determination is a crucial step for GNSS development to improve GNSS vulnerability, integrity, reliability and robustness. The newly launched BeiDou (BD) satellites are capable of conducting satellite to satellite tracking (SST), which can be used for autonomous orbit determination. However, using SST data only, the BD satellite system (BDS) will have whole constellation rotation in the absence of absolute constraints from ground or other celestial body over time, due to various force perturbations. The perturbations can be categorized into conservative forces and non-conservative forces. The conservative forces, such as the Earth non-spherical perturbations, tidal perturbation, the solar, lunar and other third-body perturbations, can be precisely modeled with latest force models. The non-conservative forces (i.e. Solar Radiation Pressure (SRP)), on the other hand, are difficult to be modeled precisely, which are the main factors affecting satellite orbit determination accuracy. In recent years, accelerometers onboard satellites have been used to directly measure the non-conservative forces for gravity recovery and atmosphere study, such as GRACE, CHAMP, and GOCE missions. 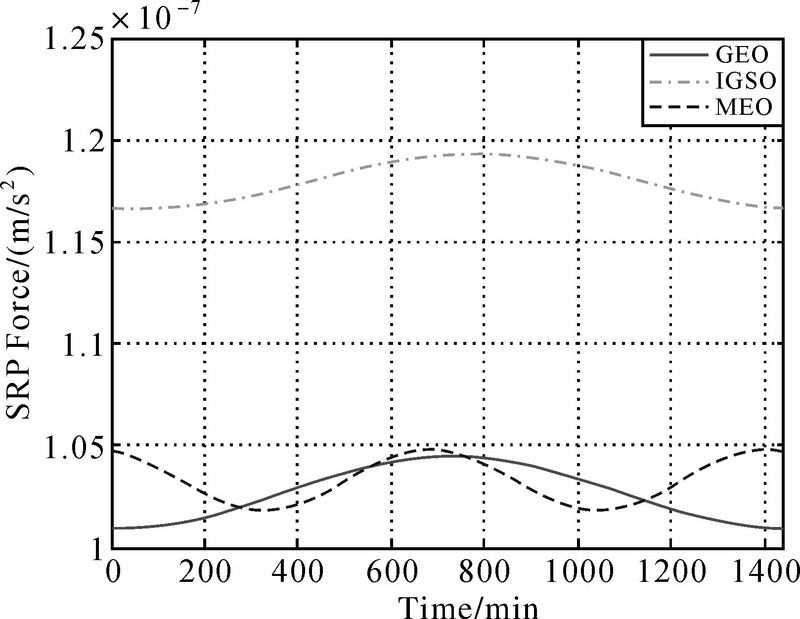 This study investigates the feasibility to use accelerometers onboard BD satellites to improve BD autonomous orbit determination accuracy and service span. 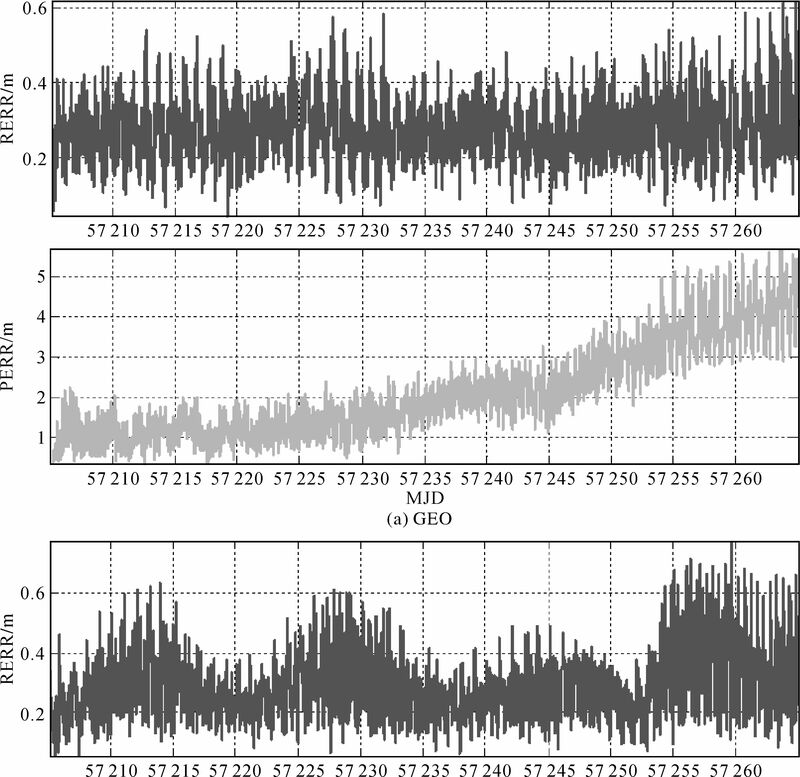 Using simulated BD orbit and SST data, together with the error models of existing space-borne accelerometers, the orbit determination accuracy for BD constellation is evaluated using either SST data only or SST data with accelerometers. An empirical SRP model is used to extract non-conservative forces. 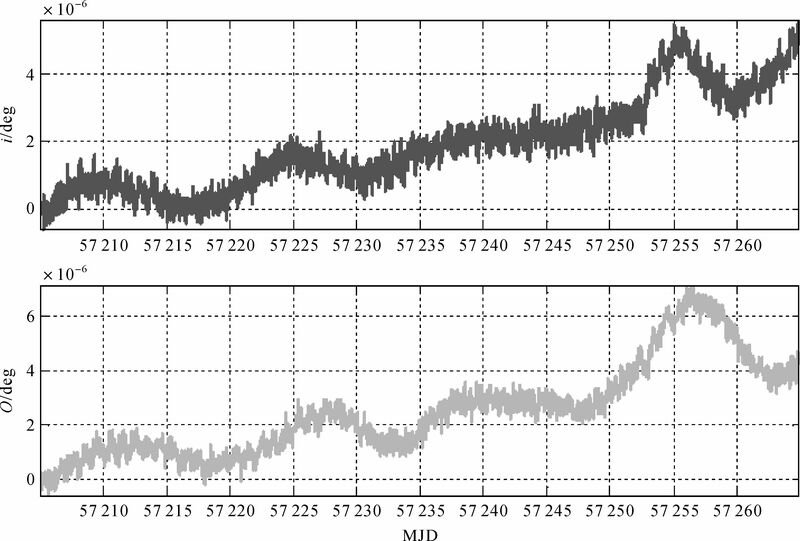 The simulation results show that the orbit determination accuracy using SST with accelerometers is significantly better than that with SST data only. 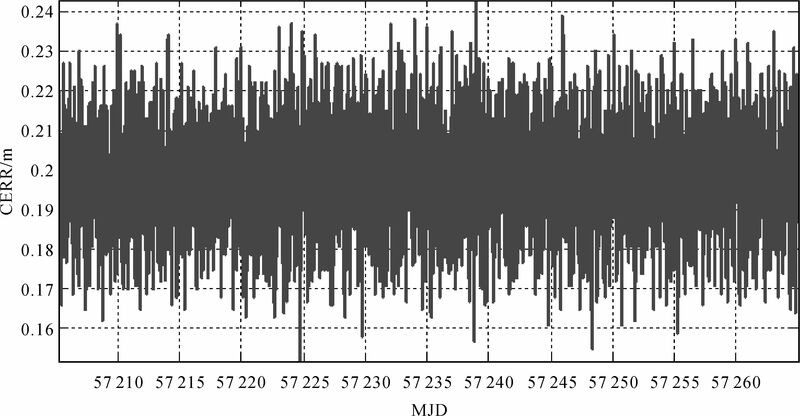 Assuming 0.33 m random noises and decimeter level signal transponder system biases in SST data, IGSO and MEO satellites decimeter level orbit accuracy can be achieved over a service life of two months using SST data and accelerometers. 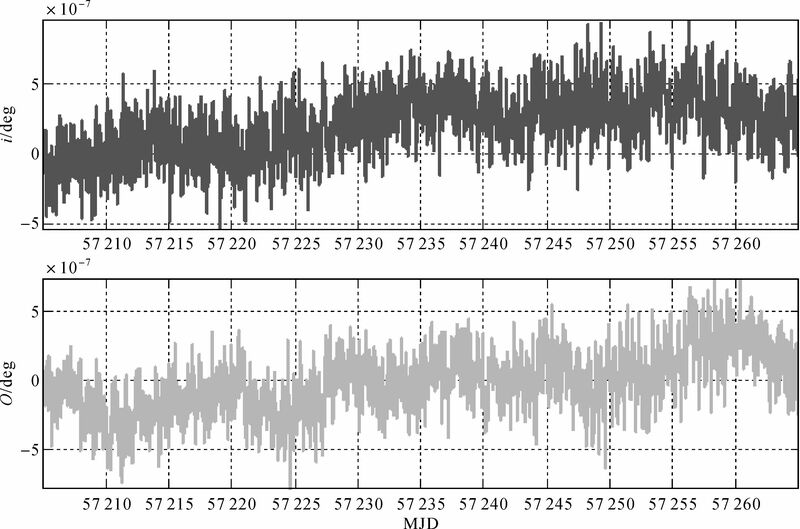 If only SST data are used, the orbit accuracy is 3~6 m with the same time period, which is an order worse. 杨元喜. 北斗卫星导航系统的进展、贡献与挑战[J]. 测绘学报, 2010, 39(1): 1–6. YANG Yuanxi. Progress, Contribution and Challenges of Compass/Beidou Satellite Navigation System[J]. Acta Geodaetica et Cartographica Sinica, 2010, 39(1): 1–6. CSNO. BeiDou Navigation Satellite System Signal in Space Interface Control Document Open Service Signal (Version 2.0)[Z]. China Satellite Navigation Office, 2013. 刘万科. 导航卫星自主定轨及星地联合定轨的方法研究和模拟计算[D]. 武汉: 武汉大学, 2008. LIU Wanke. Research and Simulation on Autonomous Orbit Determination and Combined Orbit Determination of Navigation Satellites[D]. Wuhan:Wuhan University, 2008. 王威, 董绪荣, 柳丽, 等. 基于全球导航卫星系统的高轨卫星定轨理论研究及仿真实现[J]. 测绘学报, 2011, 40(S1): 6–10. WANG Wei, DONG Xurong, LIU Li, et al. 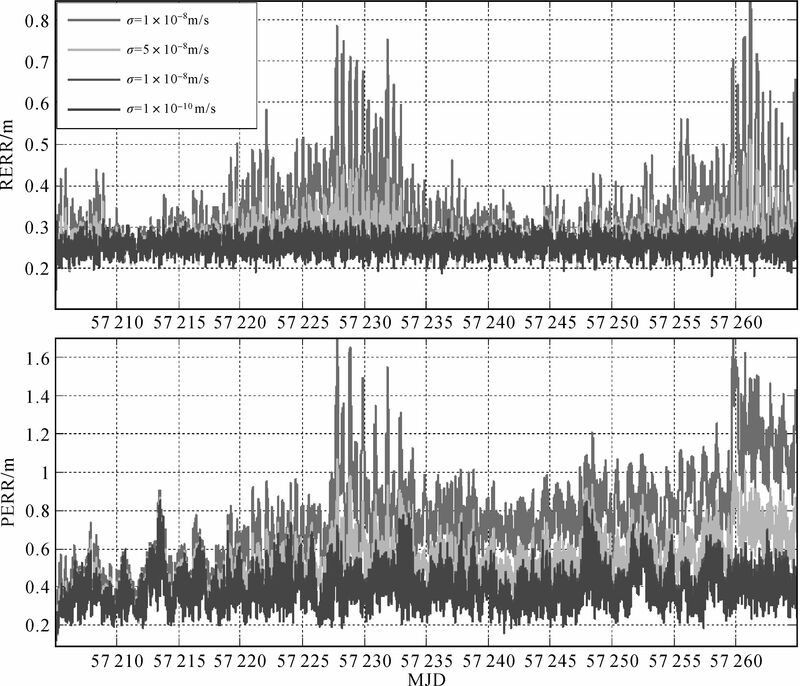 Research and Simulation of Orbit Determination for Geostationary Satellite Based on GNSS[J]. Acta Geodaetica et Cartographica Sinica, 2011, 40(S1): 6–10. 龚晓颖. 北斗系统集中式自主实时轨道确定与时间同步方法研究[D]. 武汉: 武汉大学, 2013: 86-120. GONG Xiaoying. 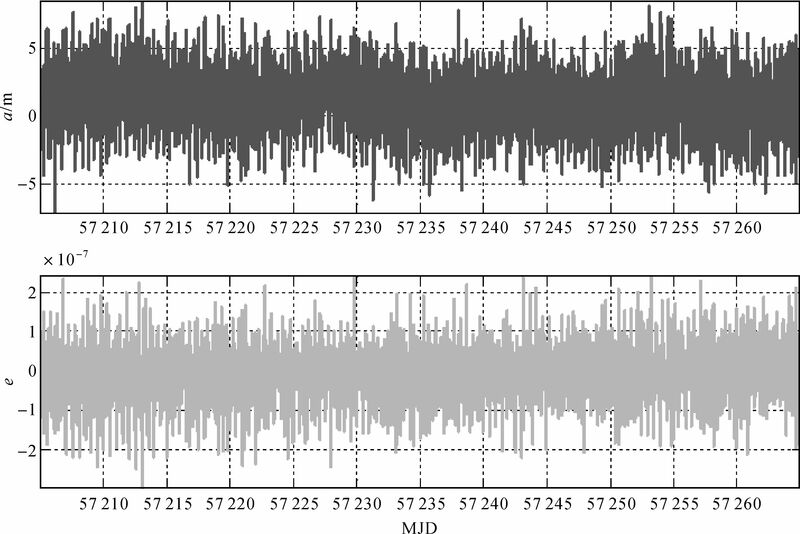 Research on Centralized Autonomous Realtime Orbit Determination and Time Synchronization of BDS[D]. Wuhan:Wuhan University, 2013:86-120. 陈艳玲, 胡小工, 周善石, 等. 基于星间测距的导航卫星自主定轨新算法[J]. 中国科学:物理学力学天文学, 2015, 45(7): 079511. CHEN Yanling, HU Xiaogong, ZHOU Shanshi, et al. 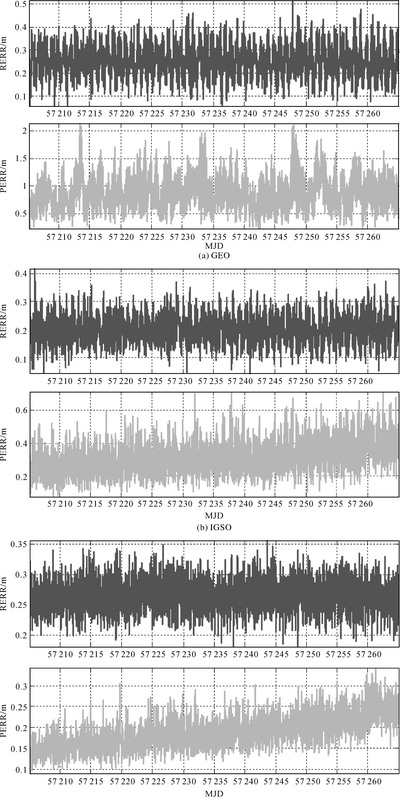 A New Autonomous Orbit Determination Algorithm Based on Inter-satellite Ranging Measurements[J]. Scientia Sinica Physica, Mechanica & Astronomica, 2015, 45(7): 079511. CAI Zhiwu, HAN Chunhao, CHEN Jinping, et al. Constellation Rotation Error Analysis and Control in Long-term Autonomous Orbit Determination for Navigation Satellites[J]. Journal of Astronautics, 2008, 29(2): 522–528. 李征航, 卢珍珠, 刘万科, 等. 导航卫星自主定轨中系统误差△Ω和△t的消除方法[J]. 武汉大学学报(信息科学版), 2007, 32(1): 27–30. LI Zhenghang, LU Zhenzhu, LIU Wanke, et al. Method for Eliminating Systematic Error △Ω and △t in Autonomous Orbit Determination of Navigation Satellites[J]. Geomatics and Information Science of Wuhan University, 2007, 32(1): 27–30. 杜玉军, 王甫红, 王泽民, 等. 导航卫星自主定轨星座旋转误差的地面校正算法[J]. 武汉大学学报(信息科学版), 2015, 40(4): 534–539. DU Yujun, WANG Fuhong, WANG Zemin, et al. A Correction Algorithm of Constellation Rotation Error in Autonomous Navigation Using Ground Stations[J]. 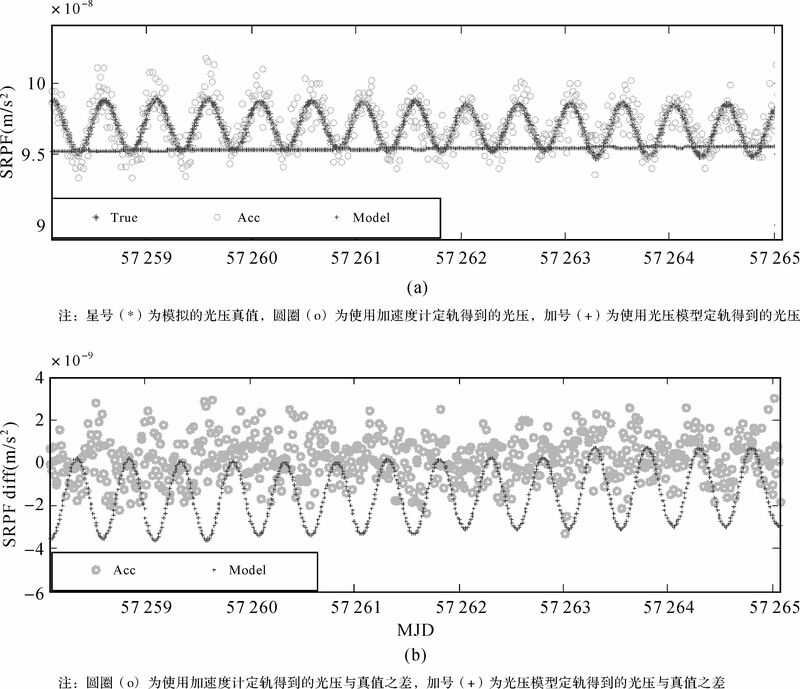 Geomatics and Information Science of Wuhan University, 2015, 40(4): 534–539. RAJAN J A, BRODIE P, RAWICZ H. Modernizing GPS Autonomous Navigation with Anchor Capability[C]//Proceedings of the 16th International Technical Meeting of the Satellite Division of the Institute of Navigation (ION GPS/GNSS 2003). Portland, OR:Oregon Convention Center, 2003:1534-1542. RAJAN J A. Highlights of GPS Ⅱ-R Autonomous Navigation[C]//Proceedings of the 58th Annual Meeting of the Institute of Navigation and CIGTF 21st Guidance Test Symposium. Albuquerque, NM:Hyatt Regency Hotel, 2002:354-363. BEUTLER G, BROCKMANN E, GURTNER W, et al. Extended Orbit Modeling Techniques at the CODE Processing Center of the International GPS Service for Geodynamics (IGS):Theory and Initial Result[J]. Manuscript Geodaetica, 1994, 19(6): 367–386. BAR-SEVER Y E, RUSS K M. New and Improved Solar Radiation Models for GPS Satellites Based on Flight Data[R]. Air Force Materiel Command Space and Missile Systems Center/CZSF, Pasadena, CA:Jet Propulsion Laboratory, California Institute of Technology, 1997. 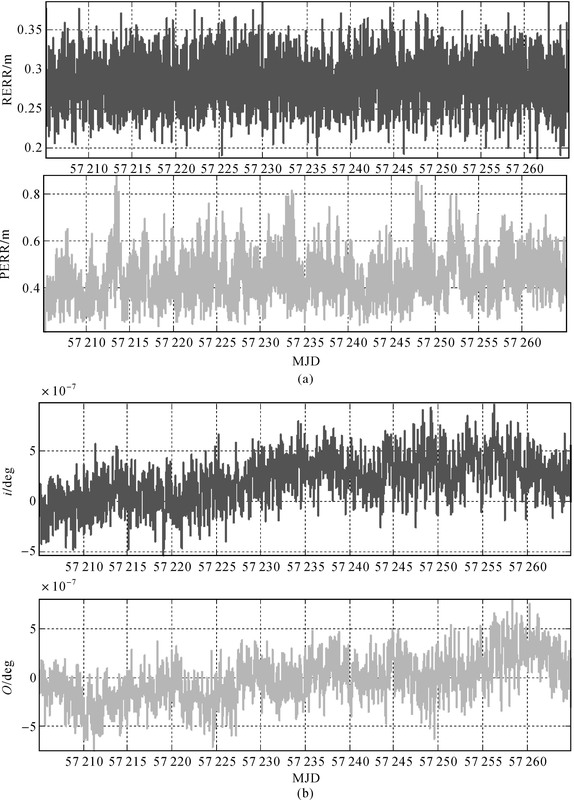 BAR-SEVER Y, KUANG D. New Empirically Derived Solar Radiation Pressure Model for Global Positioning System Satellites[R]. IPN Progress Report 42-159, [S.l. ]:IPN, 2004. TOUBOUL P, WILLEMENOT E, FOULON B, et al. 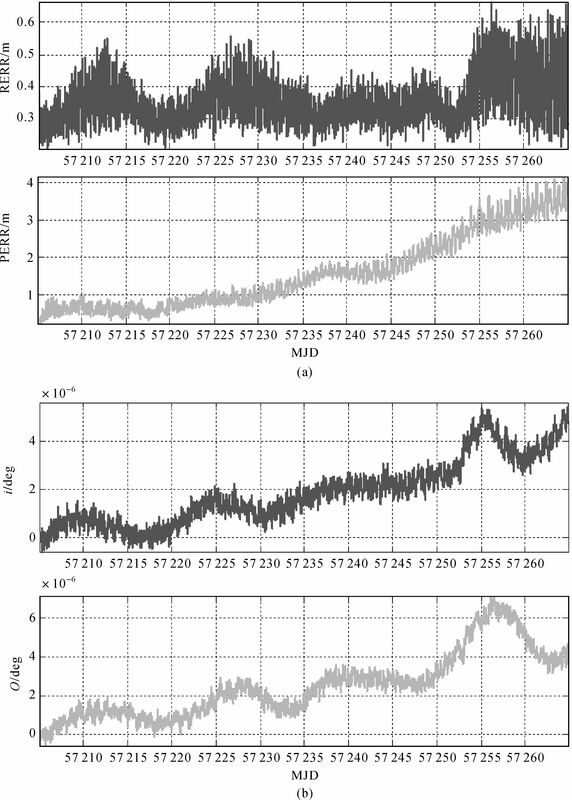 Accelerometers for CHAMP, GRACE and GOCE Space Missions:Synergy and Evolution[J]. Bollettino di Geofisica Teorica ed Applicata, 1999, 40(3-4): 321–327. TOUBOUL P, FOULON B, CHRISTOPHE B, et al. CHAMP, GRACE, GOCE Instruments and Beyond[M]//KENYON S, PACINO M, MARTI U. Geodesy for Planet Earth, International Association of Geodesy Symposia. Berlin Heidelberg:Springer, 2012:215-221. FROMMKNECHT B. Integrated Sensor Analysis of the GRACE Mission[D]. Munich, Germany:Technical University Munich, 2007. BETTADPUR S. Recommendation for A-Priori BIAS and Scale Parameters for Level-1B ACC Data (Version 2)[Z]. GRACE TN-02, 2009. LOU Yidong, LIU Yang, SHI Chuang, et al. 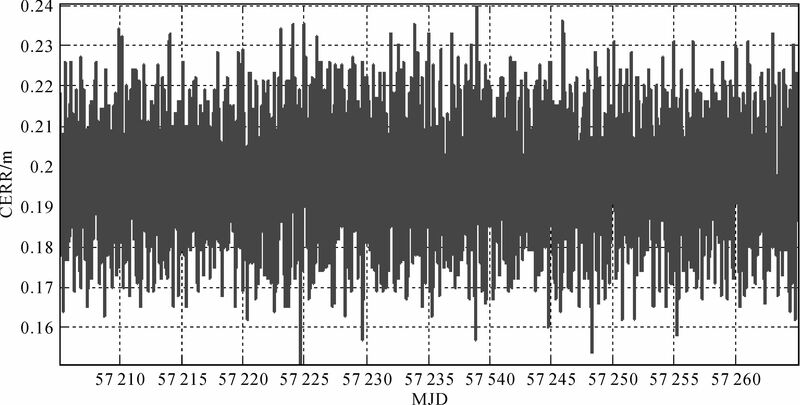 Precise Orbit Determination of BeiDou Constellation Based on BETS and MGEX Network[J]. 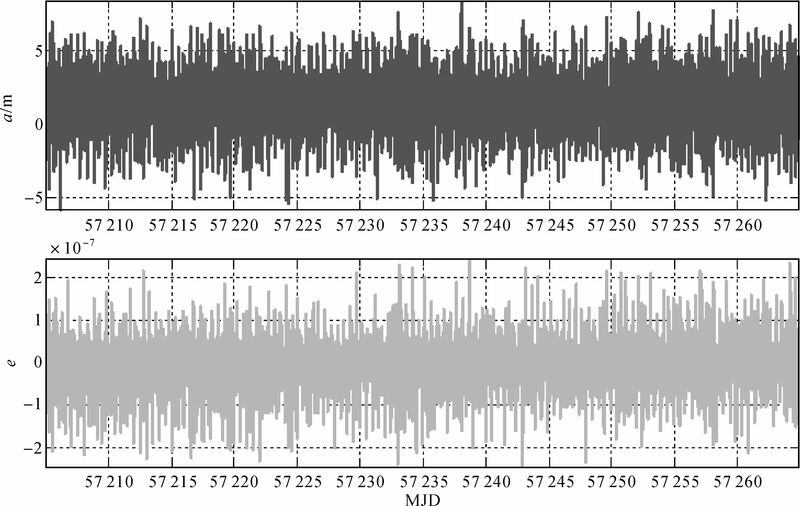 Scientific Reports, 2014(4): 4692. ANANDA M P, BERNSTEIN H, CUNNINGHAM K E, et al. Global Positioning System (GPS) Autonomous Navigation[C]//Proceedings of 1990 IEEE Position Location and Navigation Symposium-A Decade of Excellence in the Navigation Sciences. Las Vegas, NV:IEEE, 1990:497-508. MARTOCCIA D, BERNSTEIN H, CHAN Y, et al. GPS Satellite Timing Performance Using the Autonomous Navigation[C]//Proceeding of the 11th International Technical Meeting of the Satellite Division of The Institute of Navigation (ION GPS 1998). Nashville, TN:[s.n. ], 1998:1705-1712.